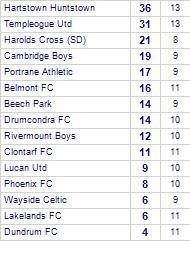 Wayside Celtic claim victory against Dundrum FC. 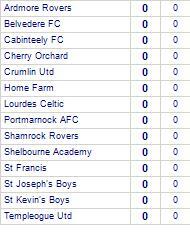 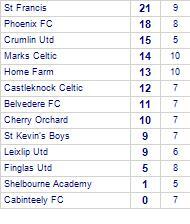 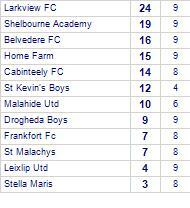 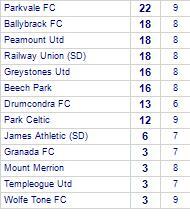 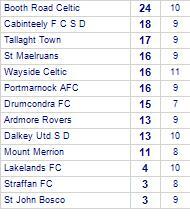 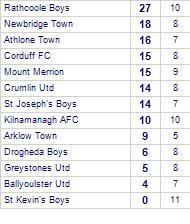 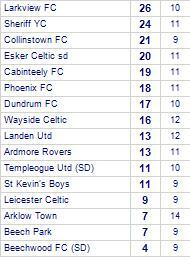 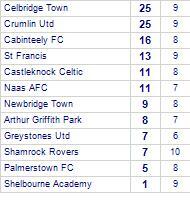 Dundrum FC has yet to win in this competition, having lost its last 3 games. 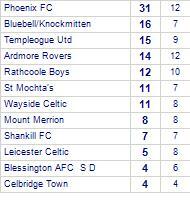 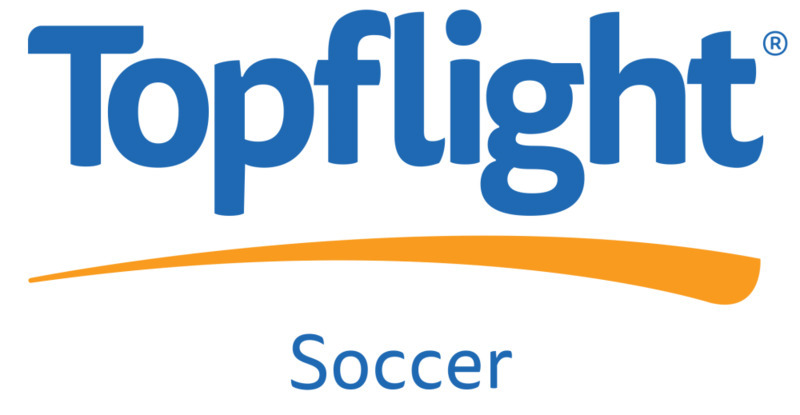 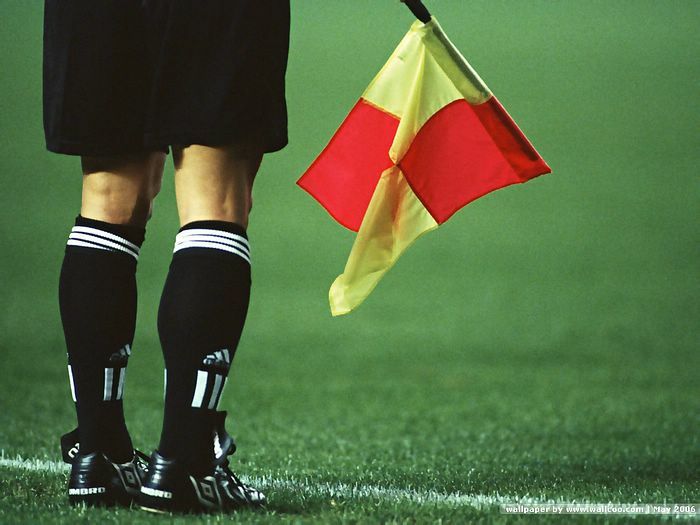 Rivermount Boys despatched by Celbridge Town. 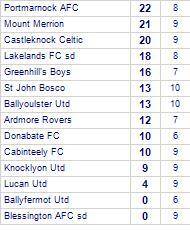 Rivermount Boys are currently on a losing streak of 5 games. 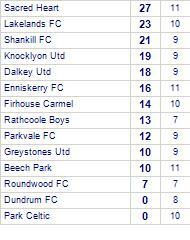 Larkview FC claim victory against Ardmore Rovers. 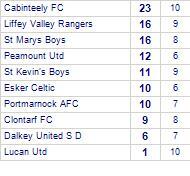 Larkview FC has yet to be beaten in this competition, having won 7 out of its last 8 games. 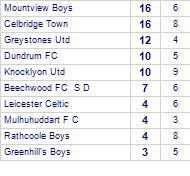 Greenhill's Boys draw with St John Bosco. 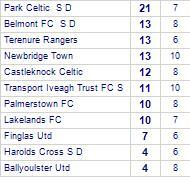 Shamrock Rovers are defeated by Celbridge Town. 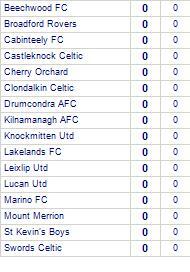 Clontarf FC draw with Drumcondra FC. 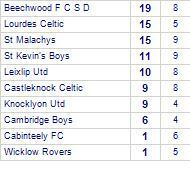 16 Sun Major (KO 1pm unless stated). 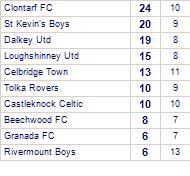 16 Sun A (KO 1pm unless stated). 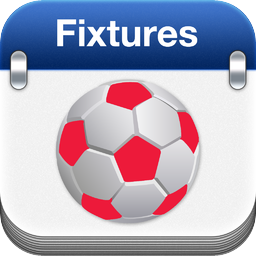 16 Sun B1 (KO 1pm unless stated). 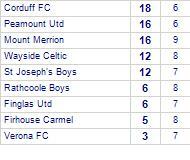 Youths Sun 6 (KO 11am unless stated).